This calculator can help you determine how much you can afford to spend on a house. We follow the same guidelines lenders and brokers use to determine the maximum mortgage you can qualify for. We recommend experimenting with different mortgage rates, monthly obligations, and credit scenarios, as these have a large effect on how much you can afford. 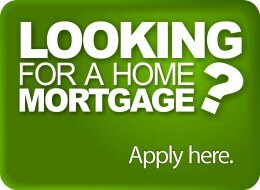 Want an indepth breakdown of your mortgage? Check out our primary mortgage calculator. Consider these for monthly obligations: Credit card/line of credit payments, car lease/loan, alimony & child support, insurance. The amount you can qualify for depends on your credit history and your ratios of debt to income (TDS and GDS ratios.) The normal maximum TDS & GDS ratios are 40% and 32% respectively, but for those with exceptional credit, the mortgage qualification process only looks at the TDS ratio, and relaxes it to as much as 44%. GDS Ratio: Your Gross Debt Service Ratio is your monthly housing costs (mortgage, heating, half of condo fees, property taxes) divided by your income. TDS Ratio: Your Total Debt Service Ratio is all of your monthly obligations divided by your income. Our rates can change on a day-to-day basis. Find out about today's mortgage rates! We have nothing to hide and that's why we post all of Canada's current mortgage rates for you to compare. We strive to maintain our spot at the top of that list each and every day with the best mortgage rate available.